Available for 65-73 DRUM, 68-73 DISC & 75-80 Granada spindles. Retains OE track width. 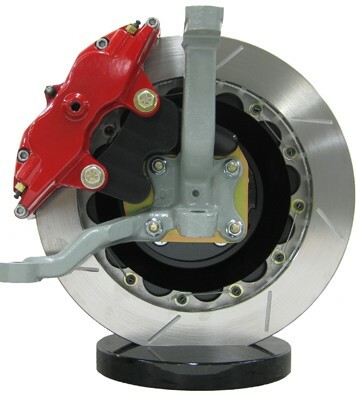 This complete 'turn-key' brake system offers the highest level of performance available. Using heavy duty directional vane 13 x 1.25" rotors mounted to an aluminum hat this system offers great weight savings and exceptional cooling. 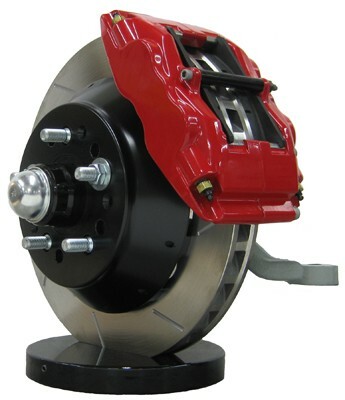 Stress flow forged aluminum calipers with 4 stainless steel pistons accept .800" thick pads in a variety of compounds. 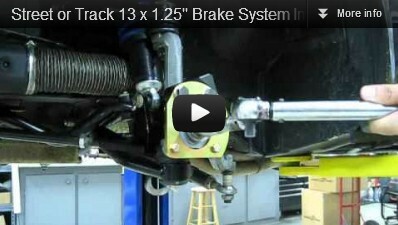 Watch as we go over a few details on our 13 x 1.25" brake system, then watch how simple the installation is. 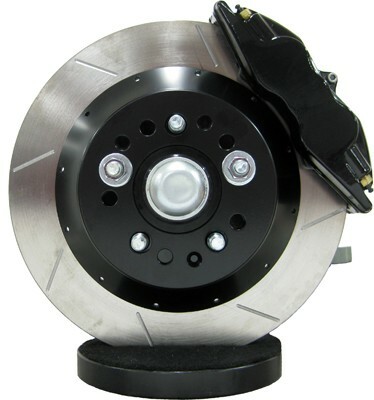 2 x 13" x 1.25" 2-piece heavy duty rotors with 36 directional cooling vanes, shipped safety wired to aluminum hats. 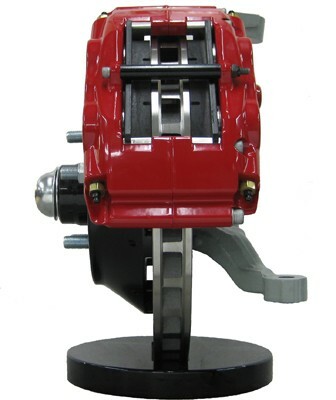 Fully assembled caliper with pads weighs 7.2lbs. The rotor we use in this kit provides the best of both worlds. Increased thermal mass due to its diameter and thickness yet lighter weight when mounted to an aluminum hat. 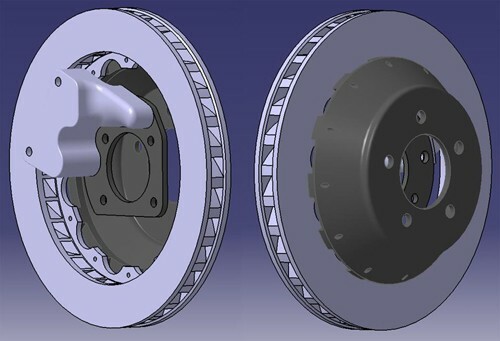 Maximizing the size of the aluminum hat and minimizing the iron rotor ring to only the pad swept area reduces the weight of the entire rotor/hat assembly to only 15lbs per side. That is 3lbs lighter than our 13x1.1" one piece rotor. 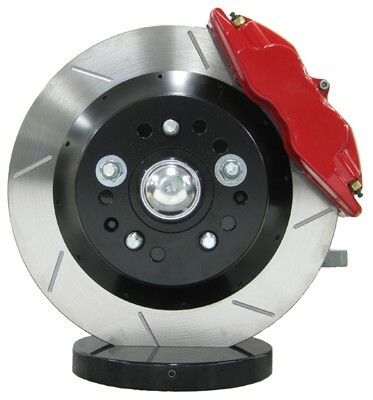 The wide air gap of this rotor promotes more airflow and sheds massive amounts of heat keeping brake temperatures in check. Had the brakes and suspension installed on the car and wow, it’s pretty nice. The ride and handling of the car is amazing. The kit is installed. I'm very impressed with the fit and finish and choice of components. Based on that, I will be ordering the rears next month. The braking feels very good. I just got done installing the 13X1.25" brake kit from Street or Track on my 1970 Mach 1. 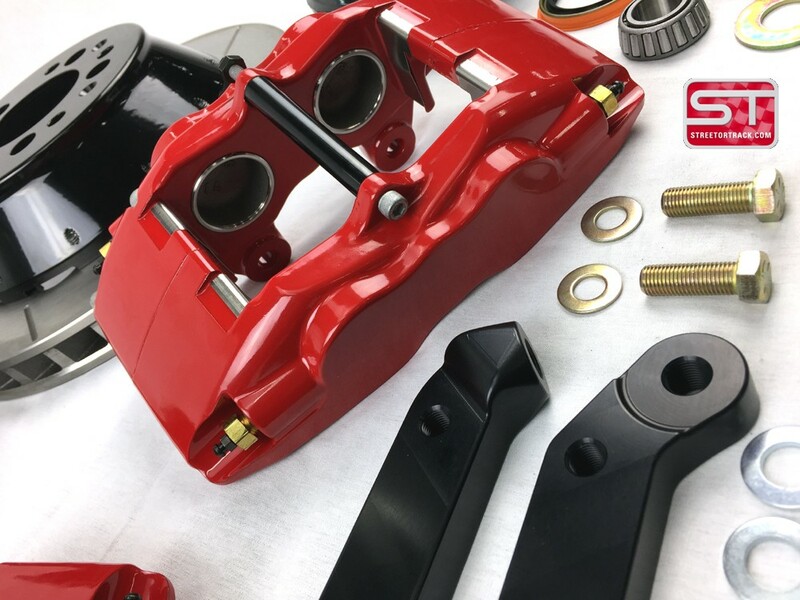 Everything went together as if the parts were original equipment for the car. I can tell a lot of time has gone into researching quality parts, and making things fit properly. I also installed the 11.65" rear Disc kit, and was again impressed by the quality of the fit. 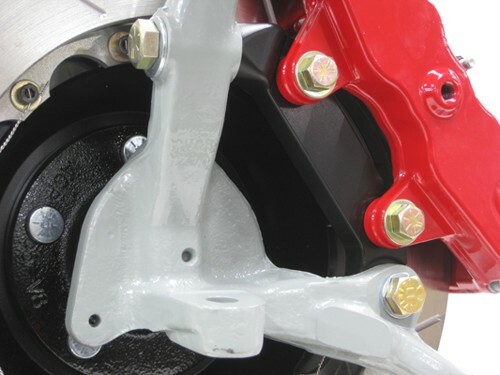 Braking performance is so improved, I feel much more confident in the overall performance of the car. The car stops like my old Cobra R. It's AWESOME. 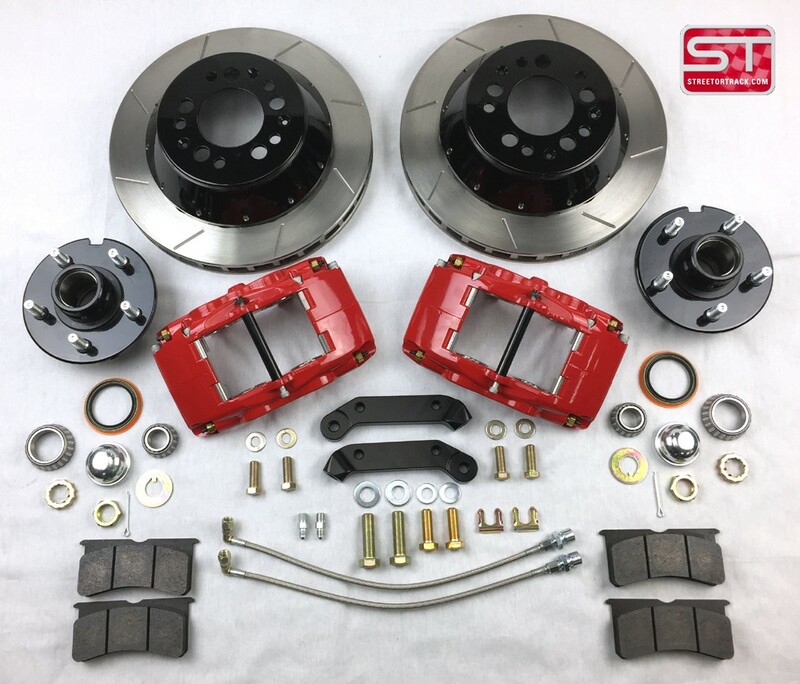 Both brake kits clear my 17" Vintage Wheel Works V48 wheels with PLENTY of room! This was the ONLY 4 piston system I found that clear these wheels. Shaun is also a great source of information, and technical advice. A BIG thanks to Street or Track for designing such AWESOME gear.